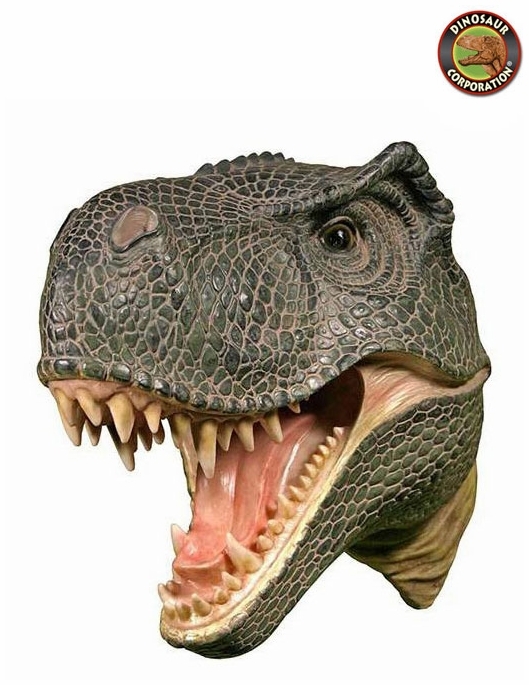 Home | GIFTS | Crystals | T-rex Dinosaur Head Wall Mount 14"
T-rex Dinosaur Head Wall Mount 14"
T-rex Head Wall Mount. This 3D T-rex wall art finely detailed dinosaur head is mounted on a wooden trophy plaque with metal keyhole. A perfect dinosaur decor for your kids prehistoric bedroom.